I’ve found growing basil unproblematic in my present garden. I remember as a child I struggled with it. 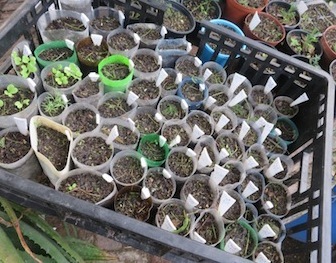 Very few seeds germinated from the seed packets I bought at the nursery, and those that did would damp off, succumbing to mildew and so my attempts were futile at first. So what differences led to my growing basil successfully in the present ? 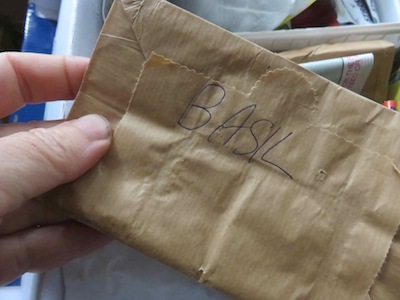 I am not absolutely sure, but first I will describe my basic basil care in a nutshell and then discuss some interesting factors which may aid our present success with basil. Growing basil is quite straight forward. Sow basil in spring or summer. Apparently you can sow direct, or transplant tiny seedlings with only four leaves, but I would recommend sowing them in 50/50 vermicast-sand mix in seed trays, or in a tube system, because snails have a strong penchant for very soft young basil seedlings. After placing the seed, supply a very thin covering layer of sand or just press them in. Water gently and thoroughly with your home made seedling sprayer, and put the tray in closed plastic bag in a well lit area with no direct, hot sunlight. Windowsills that only get a little early morning filtered light can be great for starting early. Remove the plastic as soon as the seed germinates and continue to spray, but allow the soil to dry a little between sprays. Move the seedlings into more light. Pick out or transplant to bigger pots, depending on your propagation system. 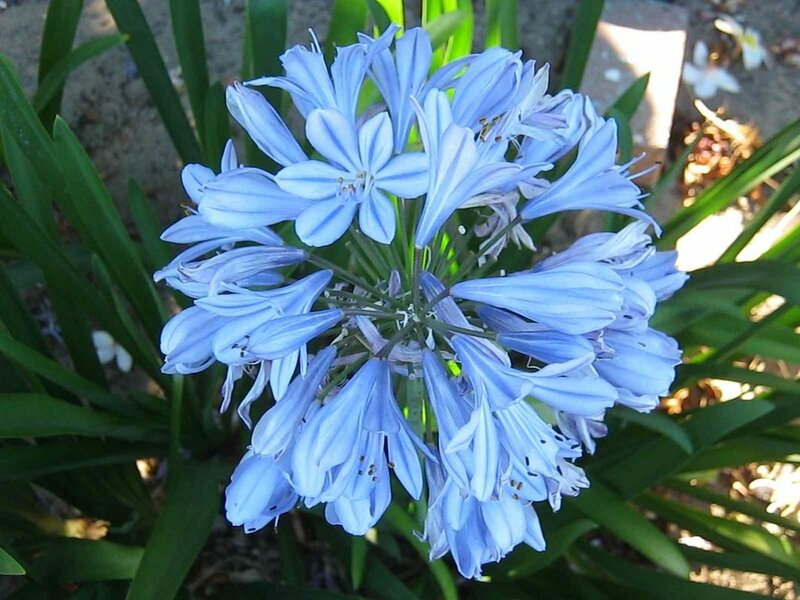 Plant in the garden or in pots outdoors in spring when hand high in a soil that is nicely composted but not too rich. After the seedlings have established water once to twice a week depending on your climate. Snip off the flowers which come in summer to avoid bolting and to keep your supply of fragrant sweet leaves, but let the seeds of one of your choice plants mature and harvest the seed for next year’s sowing. Harvest when the seed is thoroughly ripe and the seedheads are brown. You can bag the seeds with a paper bag on the bush, to prevent seed loss. I think our soil may be one of the answers to this question. It is saturated with vermicompost because my husband used our premises for a commercial worm farming enterprise for about a decade. There were worm beds everywhere. 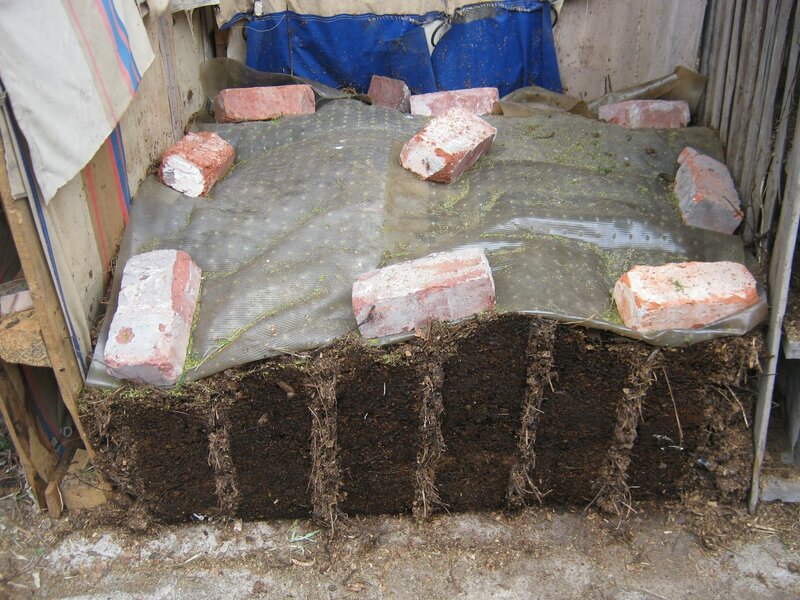 To answer your questions on making your own vermicompost go to his worm website. Basil does not need nutrient rich soil, and vermicast is not nutrient rich but only facilitates the availability of nutrients indirectly through its properties like being so rich in microorganisms. This is ideal for creating soil that gives slow feed on demand natural fertilization, and it suits heavy and light feeders. Apparently the worm digests Fusarium oxysprum, removing it from the vermicast. 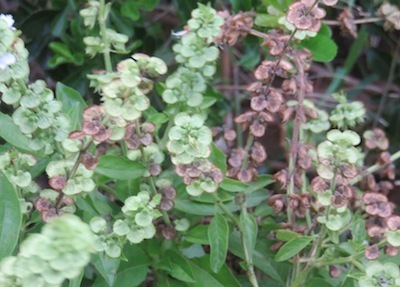 It is pathogenic strains of this fungus which cause the notorious Fusarium wilt, as well as contributing to seedling death, along with Phytopthera, Pythium and Rhizoctonia. For us damping off is seldom a problem with any of our seed sowing, and this may be related to the presence of earthworms. The earthworm also digests Alterneria solani (Pathma and Sakthivel 2012), the dreaded tomato blight. The anti-fungal action in our garden seems to be selective, as a large wild (Amanita sp. ?) mushroom can be found in all the old worm beds. 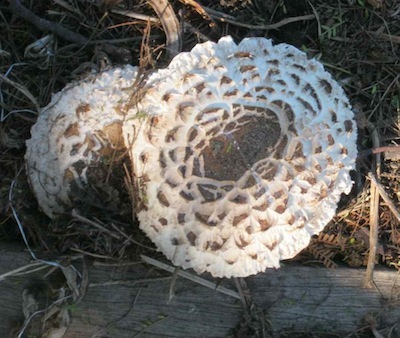 The mushroom mycelium is a network which connects all the plants in the garden and passes nutrients from places of high to places of low supply. It can act as a ‘nurse’ for young trees in forests. The mushroom mycelium must be contributing to the garden’s nutrient and water status, by leveling the supply in the garden. 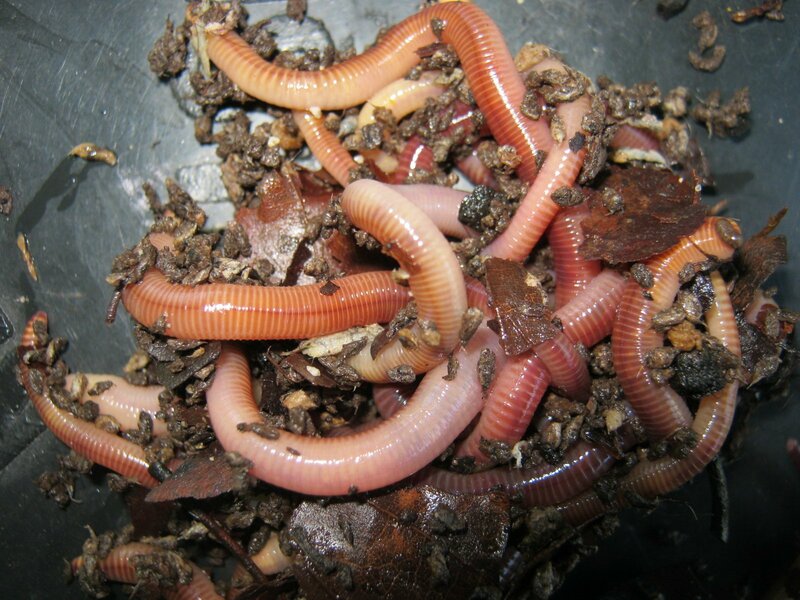 The earthworms gut also favours the proliferation of a range of plant growth stimulating Rhizobacteria, which then pass into the soil and support seedlings through making nutrients available, producing root growth hormones and also suppressing pathogenic fungi. 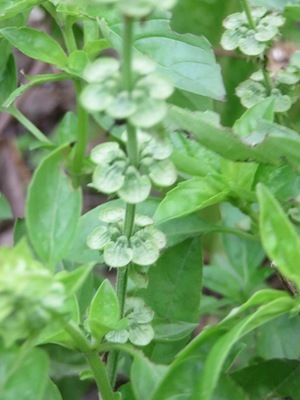 growing basil from seed, collect ripe brown husks, not green. Another factor in our present success may be that after planting out bought basil seedlings, as well as seedlings from sown seed, at various stages over the last five years, and harvesting basil seed in the garden, our seed stock has been selected for genes which thrive in our garden’s particular environment. Just another reason to harvest seed ! We also pay heed to times of year for sowing. Basil is affected by cold and its growth stalls, so it needs to be sowed and planted out in warm weather, but can be harvested throughout our mild winters. Perhaps I have just become a better carer since I was seventeen, when my head was full of dreams of living in Italy but I would forget to water seed trays, or didn’t sow them at the correct depth, or time, and unwittingly committed a whole lot of other horticultural misdemeanors. We now regularly use plastic covers for basil too, as it is a tiny seed, just pressed in and not covered, as it needs light to germinate and is thus vulnerable to drying out before germination, so plastic is ideal, stabilizing humidity and letting through light. Never place seedlings in plastic bag covers where they get direct sunlight, rather than windowsill, reflected or filtered light. Placing them in the sun will solarize the soil. 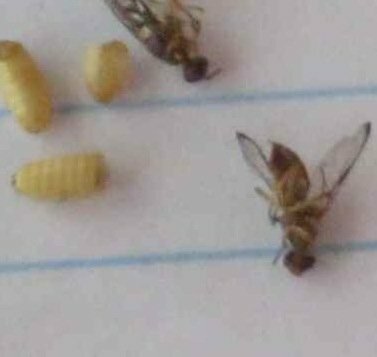 It is a natural way of killing soil pathogens but it will also kill the seeds and seedlings. Online writers recommend covering basil seeds with ¼ inch of fine material, and this may work but I’ve a feeling it is excessive. Others say 1/8th of an inch. Even this sound deep for such a tiny seed that likes to germinate in light. We only just cover the seed with soil. 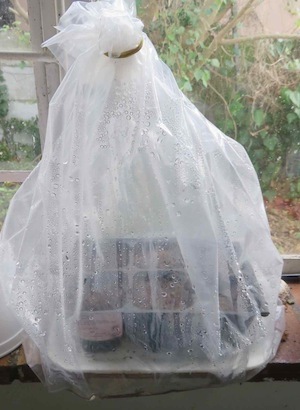 As soon as germination occurs the plastic bag cover must be removed and the tiny plants irrigated with a delicate spray, allowing them to dry out a little between sprayings, otherwise they will get both lanky and sick. Harden them gradually and plant them out in spring or summer.